The Rose Monahan Hospice Home in Worcester is the first hospice residence in Central Massachusetts. Designed from the ground up, specifically for hospice residency, our clinical staff and volunteers provide medical, emotional, practical and spiritual care for the terminally-ill individuals of all ages and care needs. Thanks to the generous charitable support of individuals, foundations and businesses, the Rose Monahan Hospice Home opened in 1997 and has cared for thousands of residents and their loved ones.The well- equipped house is filled with staff and volunteers who tailor care plans specific to each patient. Medical, emotional, practical, and spiritual (if needed) goals are put into consideration to design unique care plans for each resident. Volunteers are essential to the care provided. They offer companionship, support, meal preparation and general help with the home and property. Our group of 33 volunteers gave more than 1,500 hours to the Monahan Home in 2016. We also provide a bereavement support program for loved ones up to one year after a loss. Nurses are available around the clock to provide general in patient and residential hospice care. The two-level home, complete with an elevator, offers ample space for quiet family time or private reflection in cozy nooks. For socializing with others, larger common areas include a dining room, sun dappled living room, sundeck, shaded patio and a garden sitting area adjacent to the water. Fresh flowers are delivered daily from nearby markets; small details which augment the warmth sense of being right at home. The Rose Monahan Hospice Home has played to host weddings, birthday parties and other very personal celebrations for our residents and loved ones. 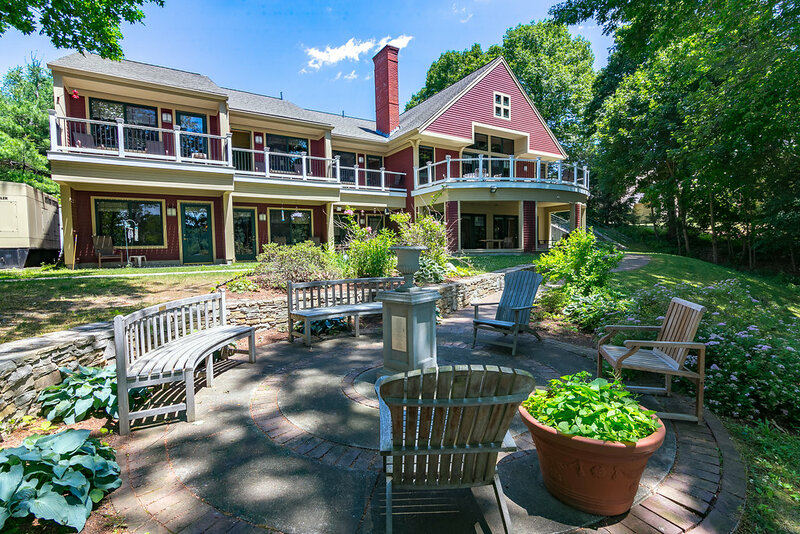 Ten private bedrooms, each with its own bathroom are well complemented by a patio or deck, overlooking Coes Pond. This offers an abundantly tranquil setting, courtesy of Mother Nature. Bedrooms are equipped with an electric hospital bed, TV with cable, WI-FI internet, telephone, dresser and closet. The appealing aroma of baked goods and homemade comfort food from our newly renovated kitchen offer a distinct feeling of home.